Standard Aero was just sold for the fourth time in 14 years, each time at a higher price. Sabena Technic is sold by TAT to a consortium of investors. Fortner Engineering was acquired by Wencor, a Warburg Pincus Company. What do these PE firms see in the aftermarket versus OEM space? On Thursday, April 4th Jeff Johnston, CEO of Dresser Holdings, will speak to this and more during his presentation "Why Private Equity is Ramping Up on Aviation." 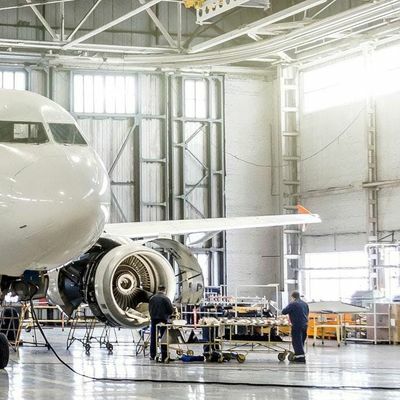 Also joining Jeff, will be aftermarket leaders Rob Wilson, CEO of TurbineAero, and David Lamb, Senior Vice President of Clay Lacy, to provide their insight in the changes being seen in the aftermarket industry. Jeff Johnston joined Desser Holdings, LLC as President and CEO in April of 2015. He is responsible for the overall strategy, execution, and profitability of the business and is located at the company headquarters in Montebello California. He is a member of the Desser Board of Directors and Advisory Board member for Atlas, another Graham Partner Aerospace company. Prior to joining Desser, Jeff held senior leadership positions in tier one and tier two Aerospace companies including Zodiac Aerospace, Honeywell, Boeing, and General Dynamics. He has extensive global experience including Board positions with foreign joint venture companies. Jeff is a native of Los Angeles and holds a B.S. degree in Mechanical Engineering and an MBA from The Drucker Center at Claremont Graduate University. Jeff also earned a certificate in International Business from Thunderbird School of Global Management and is a certified Lean and Six Sigma blackbelt. Recently returning to Southern California from Arizona and Texas, Jeff enjoys a number of outdoor activities with his family, including boating, fishing, skiing, and flying. He is active in his community and serves as a Board Member and CFO for the Johnston Family Foundation, a non-profit 501c (3) organization dedicated to supporting Medical Research, Higher Education, and Youth/Church institutions. Prior to becoming CEO of TurbineAero, Rob Wilson founded Aerospace Advisory Group, LLC in 2014, and served leading aerospace companies in consulting and board roles. Rob served the last 9 years of his 27-year Honeywell career as the President of the Business & General Aviation business, which serves customers who produce, operate and maintain business jets and general aviation aircraft across the globe. He grew the business at twice the industry rate to over $2.5B and expanded margins by over 50% in the period 2009 to 2014. In prior roles, Rob led the Military Aircraft electronics business to significant operational improvements and led the certification and production introduction of Honeywell's new generation propulsion engine. In early roles at Honeywell Aerospace, Rob had a series of engineering and business leadership positions with increasing responsibility, including leading Honeywell's engine/APU assembly and test facility, their engine/APU controls business, and leading the engine and mechanical systems technology development efforts. Rob was trained as a Six Sigma Black Belt and Lean Manufacturing expert while in leadership positions at AlliedSignal. He started his career designing and developing gas turbines and related equipment at Solar Turbines, and has a mechanical engineering degree from Case Western Reserve University. David Lamb, Senior Vice President - Business Development, leads Clay Lacy's strategic business development initiatives across our suite of business aviation services. His executive career is highlighted by a host of achievements in the business aviation and aerospace industries. He joined Clay Lacy from Dassault Aircraft Services, where he was Vice President, Marketing and Sales. Previously he was Vice President, Quality Assurance at a global carbon composite company and Vice President/General Manager at a billion dollar MRO provider. He earlier held engineering, manufacturing and product management positions at Gulfstream and Pilkington Aerospace. David served in the U.S. Marines as a forward air controller. Among his numerous professional certifications, he is Six Sigma Green Belt certified. David holds an A&P license and a BS in industrial technology from West Coast University in Los Angeles and is working toward his MBA.